You can quickly set up video surveillance for an unlimited number of objects and collect them into a single system providing access from any part of the word. No matter if you need to install several cameras in a small store or several thousand cameras in a large trading network – WLTT can easily cope with any challenge. Will independently detect suspicious events and report them, filtering unnecessary ones and saving your time. Supports motion and sound detection, along with external sensors. You can securely store your videos not only in the cloud, but also locally. You will get the benefits of a cloud-based video surveillance system, even if you have a great number of cameras and weak data channels on the site. For security services, for business units or for use in civil projects. You can connect as many users as you need, without increasing the load on your communication channels. WLTT provides a unique technology that allows you to broadcast not only live video in less than a minute, but also provide access to recording to an unlimited number of visitors of your site. WLTT data centers will take all the traffic load. You can quickly set up video surveillance for an unlimited number of objects and collect them into a single system providing access from any part of the world. No matter if you need to install several cameras in a small store or several thousand cameras in a large trading network – WLTT can easily cope with any challenge. 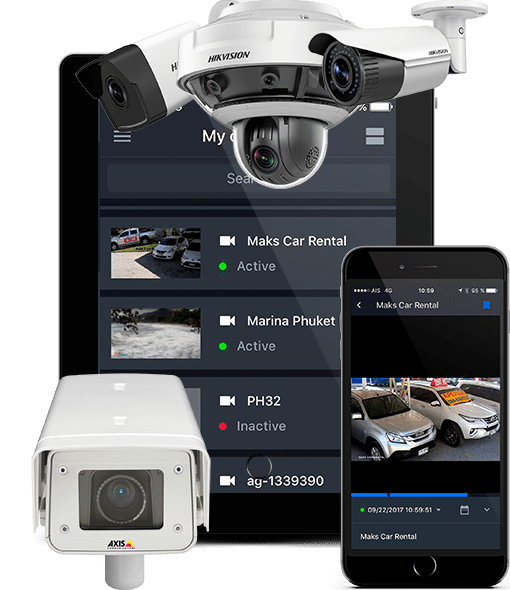 Does not require any complex settings, external IP addresses and is free from other limitations of conventional surveillance systems, working with literally any communication channels. To solve the whole spectrum of business and security tasks, we have developed Mobile and Web applications that can be used to access iOS and Android cameras and data. Video surveillance on moving objects. WLTT can work with cameras installed not only on stationary objects, but also on transport. Localization of servers in your network. If you want to use our system, but your corporate standards forbid you to store information in third-party data centers, we can offer you a secure solution with the cloud roll-out inside your network. Qualitatively, expensive and reliable. Locating facilities on the map. You can mark your objects on a map for quick search and access. We work in any data transmission network: Even if you have a 3G / 4G Internet, you will get high-quality images. Reliable protection of your personal data: All traffic is completely encrypted in accordance with the SSL standard used in banking transactions. 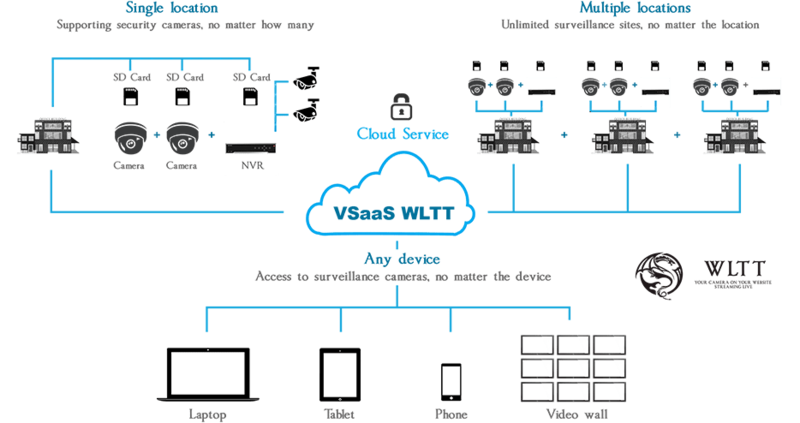 Multi-Level Backup System: WLTT has designed a system guaranteeing data safety and smooth operation of CCTV cameras. Need a lot of cameras, but still doubt in choosing WLTT? Choose a test object, connect it for free and make a decision after trying WLTT in the case. We are ready to help you with this! Cost reduction on roll-out and support. WLTT cloud architecture allowed us to move the most complex computing nodes and storage nodes to our distributed data centers. 24 hours a day our team ensures their reliable operation, saving your money for your own operation service. 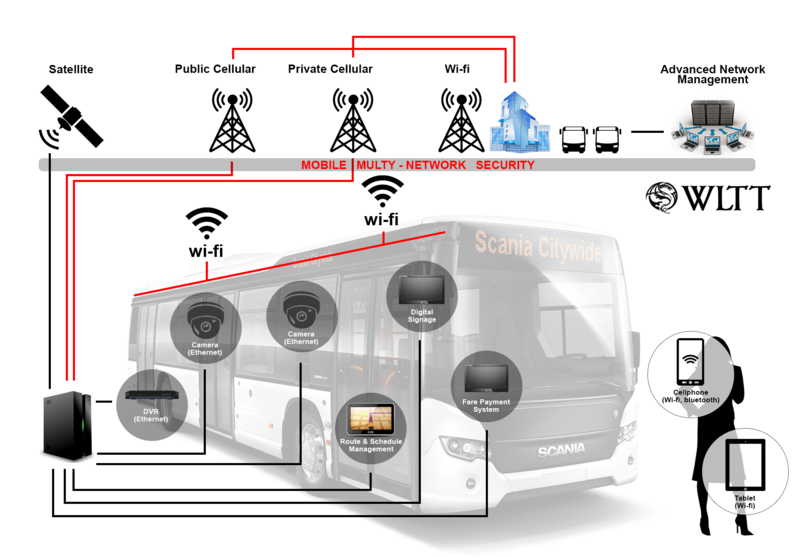 Really easy installation and connection of the WLTT service doesn't require any complex settings, external IP addresses and is free from other limitations of conventional surveillance systems, working with virtually any communication channels. We will ensure the highest video quality if your channels allow us. Yes, we've made the video surveillance accessible. The cost of maintaining a connection to one camera starts from just 150 baht a month! You can always rely on us in the realization of your video surveillance projects. Our engineers constantly monitor the work of system and are ready to help you, any time you need.